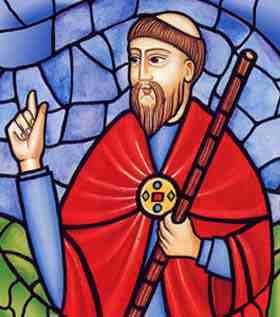 Winebald (701 – 761), an English missionary who evangelised Europe. He was born a prince, the son of Richard the King and Wunna of Wessex; brother of Willibald and Walburga; nephew of Boniface. During a pilgrimage to the Holy Lands he became ill and spent seven years in Rome, recovering and studying before finally returning to England. He became a missionary to Germany with Boniface. He was ordained in 739, worked in Bavaria and Mainz and founded a monastery at Heidenheim, serving as its first abbot.